Protective Tapes- Campbell International Specialist Tapes. Campbell International All Weather PolyWeld Pipeline (Non-Vulcanising) Identification Tape - For use on Kaifle x Protect R and Other Protective Coatings Do you have trouble sticking tape to rubber insulation because of vulcanising of the adhesive with the rubber, this chemical reaction cause..
Vellotape Premium Grade Polyethelene Tape Size: 50mm x 33m Colour: Yellow Thickness: 150micron Contact Us for more information. ..
Our single-sided fire protection fibre tape is a sealing tape that resists extreme temperatures up to 600°C. This asbestos-free tape allows no gas to develop when fire occurs. Sizes: 12mm x 2mm x 33m - Box of 2512mm x 3mm x 33m - Box of 2412mm x 4mm x 33m - Box of 1625mm x 4mm x 33m - Box of 12Ple..
Campbell International anti-corrosion tape, designed for protection below ground or underwater against corrosion on pipework, metal surfaces, cables and temporary sealing of fractured mains and cable joints. Sizes: 30mm x 10mtr - Box of 60 50mm x 10mtr - Box of 36 75mm x 10mtr - Box ..
Campbell International black protection tape helps prevent surface damage to metals and plastic parts. Commonly found in the glazing industry this tape protects against scratching during transit etc. Size: 25mm x 100m - Box of 4850mm x 100m - Box of 2475mm x 100m - Box of 16100mm x 100m - Bo..
Campbell International clear all weather polythene tape repairs, seals and joins and resists the outdoor elements. 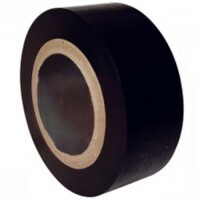 The tape is waterproof and unaffected by extremes of temperature.This tape can be used to cover other pipeline tapes to provide more protection against extreme conditions. Size: 50mm x.. The ultimate clear carpet protection system with the adhesive coating on the outside so all you have to do place the roll on the floor and simply roll it out ! Safer than dustsheets and has a multitude of uses across all trade sectors. Size: 600mm x 50m - Clear ..
Campbell International premium polyethylene storm tape. Sizes: 25mm x 33m - Box of 4850mm x 33m - Box of 2475mm x 33m - Box of 16100mm x 33m - Box of 12Colours:BlackWhiteRedBlueYellowClear	Please Contact Us to order this tape, alternatively add it to your basket and place an order and we..
Campbell International premium moisture resistant tough polythene tape is very conformable to irregular surfaces. The tape provides superior adhesion to PE sheeting and rough surfaces and has excellent outdoor performance. Size: 25mm x 33m - Box of 48. Colour: Black, White, Red, Blue, Y.. This tape has the same protective qualities as our black low tack protection tape but it is co-extruded so the black tape has a white top surface that can easily be written on for identification purposes. Protection tape helps prevent surface damage to metals and plastic parts. Commonly found in th..